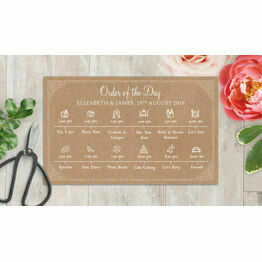 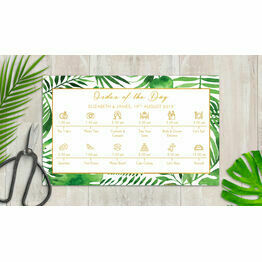 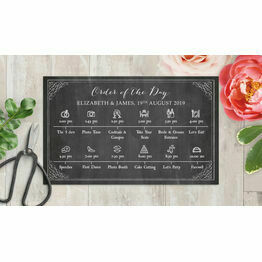 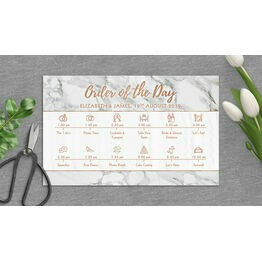 Let guests know the full itinerary for your big day with our beautiful wedding timeline cards. 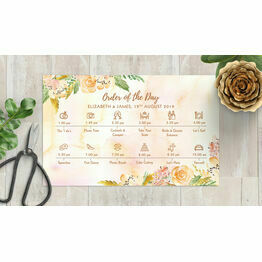 Available in several stunning designs, each card can fit up to twelve different timings to show the programme of your wedding. 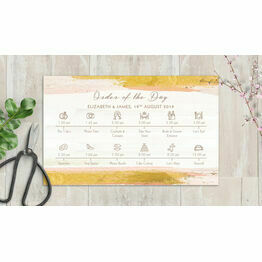 Our designers will personally edit your design, with any illustration or timings possible.